Don’t be fooled - spring isn’t the only time of year for you to make a change. If you’ve found that your kitchen is too small for your growing family, or too out-of-date for your modern taste, it is time to make a change. With beautiful, high-quality materials such as laminate, wood, granite, Quartz and more, FLOFORM Countertops in Calgary, AB is the company you need to refresh your kitchen’s look and functionality. Floform offers both undermount and top mount sinks, beautiful faucets from the biggest brand names, and can cater to any style or taste. Whether you want a sleek, silver, modern look or something more homey and rustic, our design team can help you dream your ideal kitchen layout into reality. 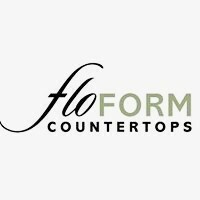 From planning to installation, Floform Countertops will be there for you.